So, what’s all the excitement about? 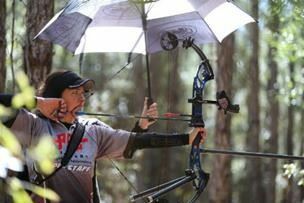 What exactly is 3D Archery? 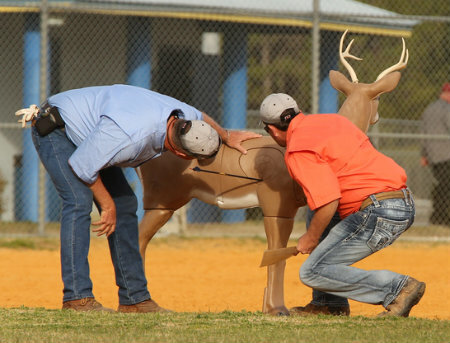 Think of it like a golf course, where the “holes” are three-dimensional, foam targets that look like various game animals – deer, bears, leopards, antelope, etc. Archers move from station to station, where they shoot at these animal targets at various distances, in varying settings. 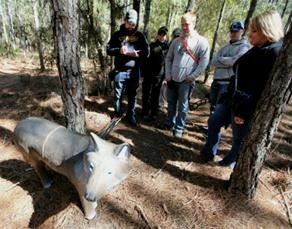 It started as a way for bowhunters to practice on lifelike targets in places similar to where they hunt. Unlike golf, an archer only takes one shot to hit each target. Every “hole” on a 3D course is a Par 10. Points are earned by arrows hitting various scoring rings on the targets. 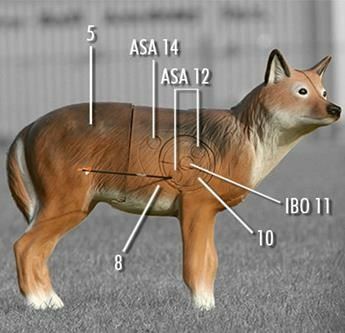 And a typical 3D round is 20 targets, versus 18 holes. Unlike golf, the goal is to reach the HIGHEST score. Arrow speed can cover up some mistakes in range estimation, since the faster an arrow flies, the flatter its trajectory will be. 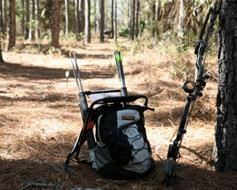 And many of today’s compound bows are capable of producing arrow speeds well over 300 feet per second. 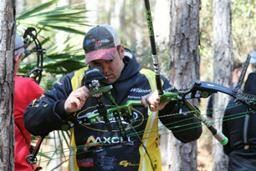 However, both ASA and IBO have maximum speed limits of 290 fps for their tournaments. That top speed is lower for some divisions, but no archer may have a bow-arrow setup faster than 290 fps.